What do you do when your fermented cabbage becomes a little too fermented? Make a soup! At least that’s what Koreans do and it’s delicious. 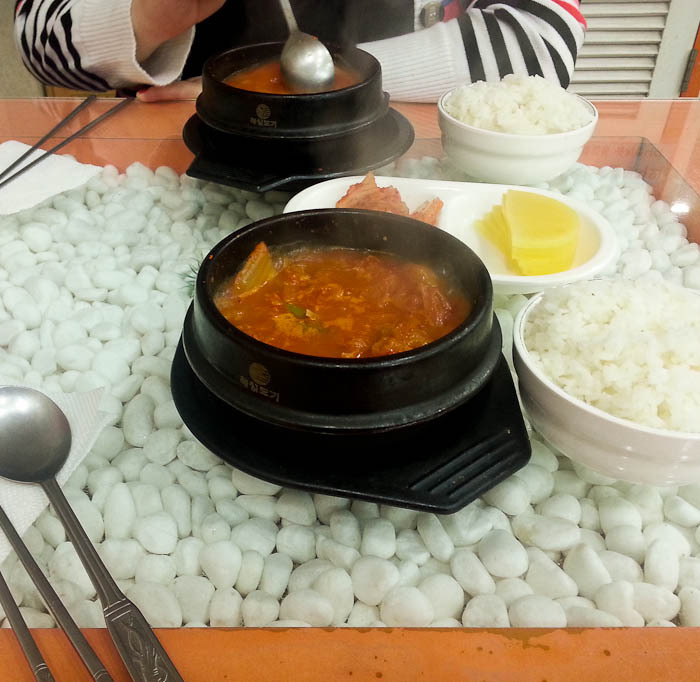 Kimchi jjigae is one of my favorite Korean dishes so far. Right now I’d say I could eat it everyday and not get tired of it (ask me again when summer comes). 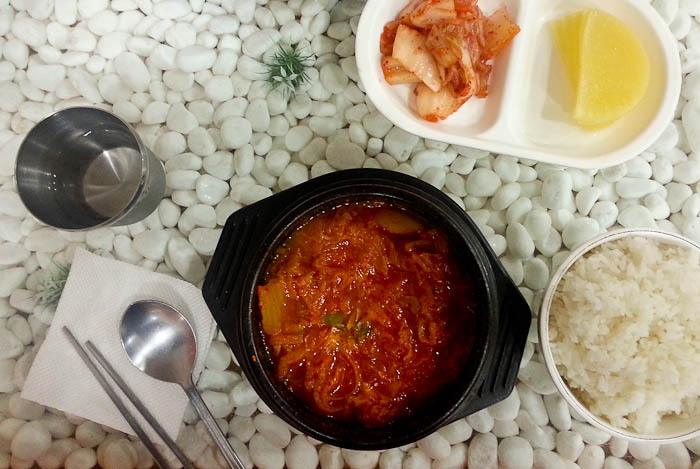 Kimchi jjigae, accompanied by more kimchi, pickled radish, and white rice. Jjigae, meaning soup or stew, is a regularly consumed dish in Korea and there are many different varieties, although kimchi jjigae is the only type I’ve tried so far. The more fermented the kimchi the better, as it creates a fuller flavor. Tofu, green onions, and pork are often included and it’s seasoned with garlic and dongjang (bean paste) or gochujang (red pepper paste). As you can imagine, it’s quite spicy. You also might think it would taste quite sour (you are eating aged kimchi), however I don’t find it to be at all. In fact, I forget that I’m even eating kimchi by the spoonful. The combination of the pork, veggies, gochujang and kimchi boiling in one pot creates an awesome flavor. 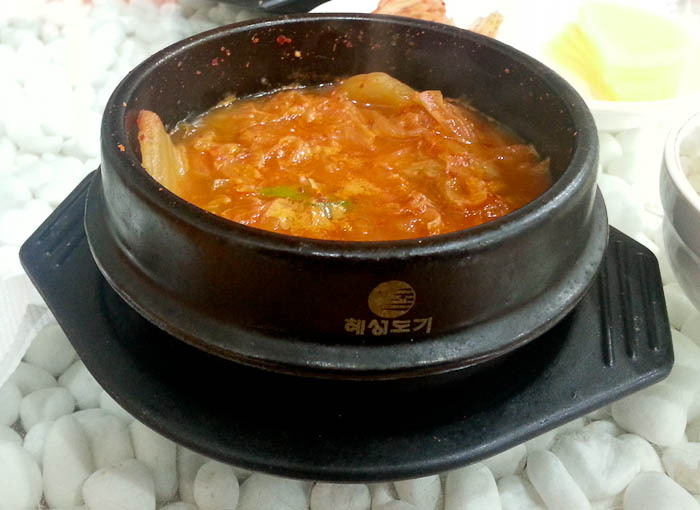 Kimchi jjigae is served bubbling hot in a stone dish and usually comes with rice (helps with the heat). Sometimes I eat more than a pocketful of kimchi in one day.